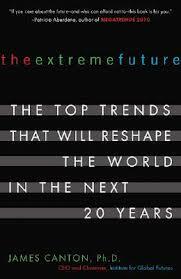 The Extreme Future is a book written by Dr James Canton. It’s a challenging but engaging read into the crystal ball of the top trends that are going to be normal in the near and distant future. This book will provoke you to think big picture about the future of planet earth and our role within it. Worth a read! Fear wants you to run from something that isn’t after you. Seeing my kids excited about their first day back at school was a memorable moment. ← The Perseverance of Faith!